Getting a Medical Marijuana Card in Washington, D.C.
For many, it must seem ironic that Washington, D.C. – capital of the United States and home of many of central government’s institutions – has legalized marijuana for recreational and medical use for those aged over 21 (or 18 for medical patients). Meanwhile, many states (D.C. is of course a Federal district, not a state) have vastly different laws. Well, “So it goes”, as Vonnegut would write. Yet this does not mean that marijuana is not heavily restricted in the District of Columbia. Though it is legal to carry up to two oz. (56g) and grow up to six plants (three mature at a time) for recreational purposes, there are strict laws surrounding marijuana use in public. Furthermore, these restrictions apply even to private clubs, so cannabis is pretty much restricted to home usage, unlike in Colorado, Spain or Holland. To add even more to the confusion, though pot is legal to grow and use on private property, there is no way for recreational users to buy from a commercial retailer. Only dispensaries are allowed to sell marijuana, and to buy flowers, edibles, concentrates and more, you need a Medical Marijuana Card to buy from one. For anyone from Washington, D.C. who’s looking to come to California who’s in need of a Medical Marijuana Card, book an appointment and have a chat with Leafwell online. 1998 – Initiative 59 is approved by voters, legalizing medical cannabis. The initiative is known as “Legalization of Marijuana for Medical Treatment Initiative of 1998”. 2014 – Decriminalization and legalization for the use of marijuana by anyone aged 21 or over. However, sales of cannabis for recreational purposes are not permitted, even though it is recreationally and medically legal! Federal property is excluded from these laws, meaning that cannabis is effectively still illegal in many areas of Washington, D.C. 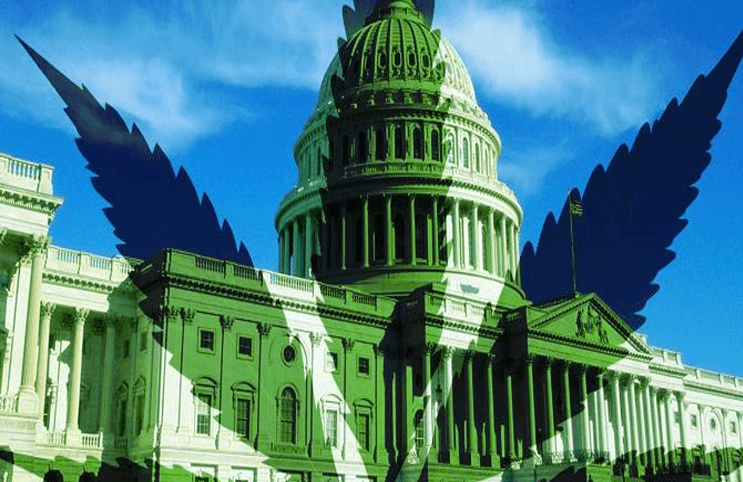 There are several medical marijuana dispensaries open across Washington, D.C.
Medical marijuana patients must be aged 18 or over, whilst recreational users must be aged 21 or over. Under Initiative 71, adults aged 21 or over may possess up to 2 ounces of cannabis and cultivate up to 6 plants (3 mature/flowering) on their own property. Possession of up to 1 ounce of cannabis by non-medical users is decriminalized, with a fine of up to $25.